Casey Veggies & Rockie Fresh - "Energy"
Two of hip hop's upcoming superstars Casey Veggies and Rockie Fresh team up on a song appropriately titled "Energy." 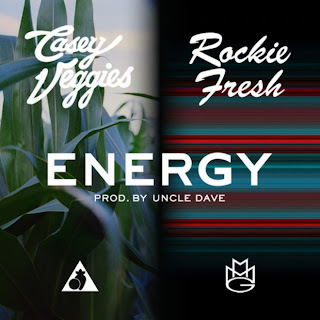 The two spit some rhymes over an Uncle Dave produced jam and the timing is pretty good as Veggies is coming off the free album Life Changes and Rockie Fresh recently released Electric Highway. You can stream and download below, plus be sure to let us know how you think these dudes sound together on a track.